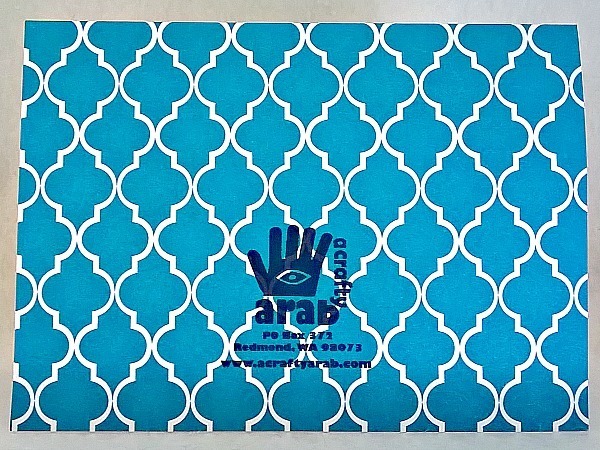 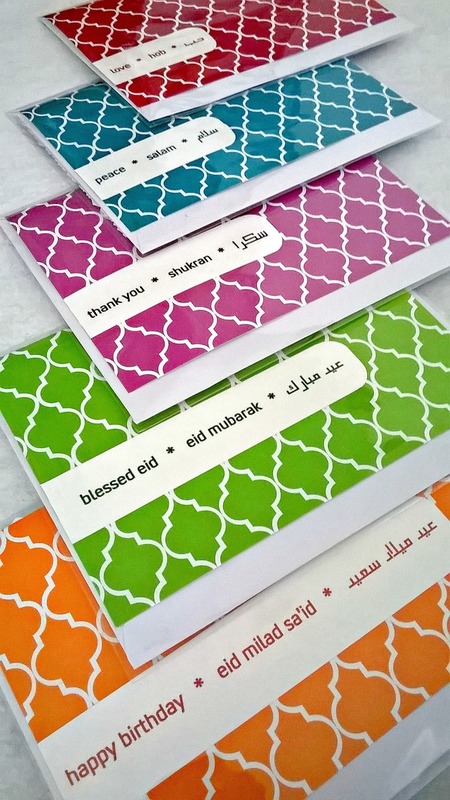 This set includes all five of the cards from the Arabesque cardstock in teal, orange, green, red, and purple. 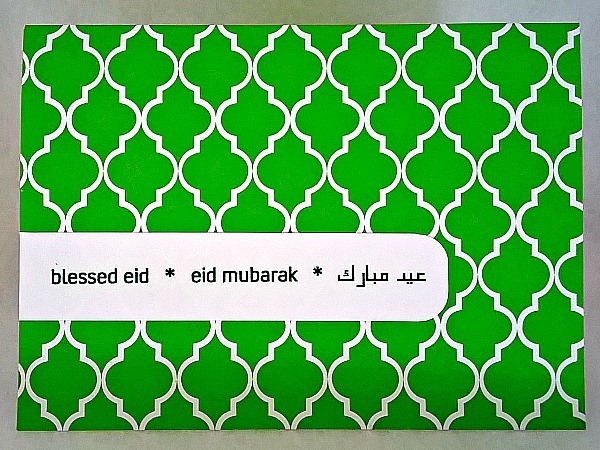 These five Arabic cards include happy birthday, blessed Eid, love, peace, thank you written in a beautiful font that has been added to the card on white cardstock. 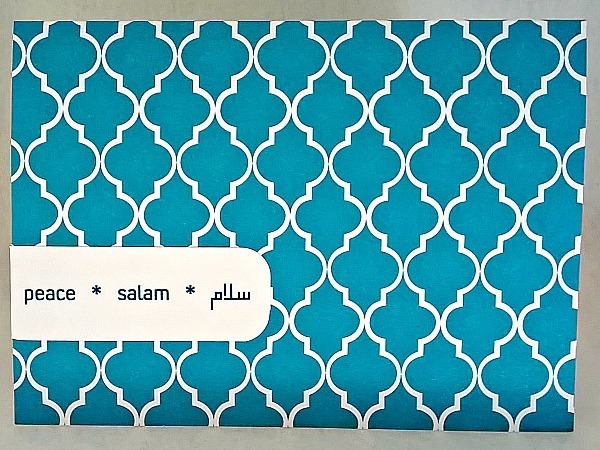 They each are read right to left, starting with the Arabic, an asterisk, the pronunciation in Arabic, another asterisk, and finally the sentiment in English. 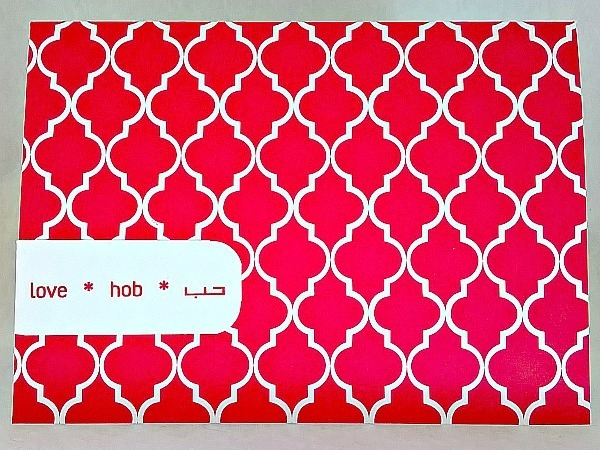 Made in my smoke free, pet free studio. 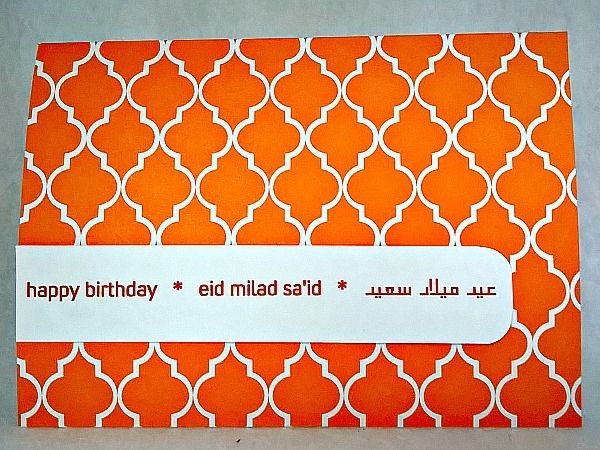 Each card is individually wrapped in plastic as show and comes with a white envelope. 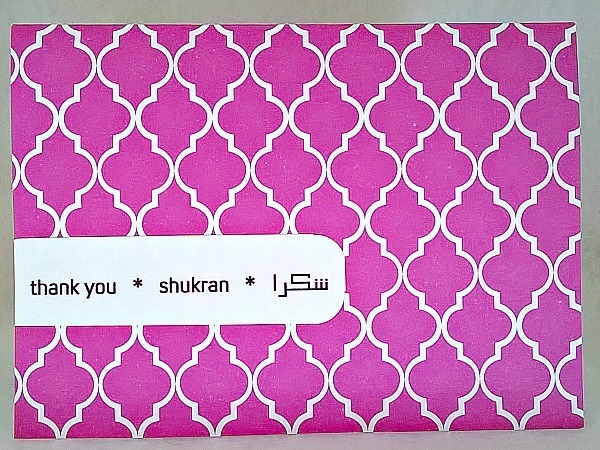 Shukran for your interest in my art.